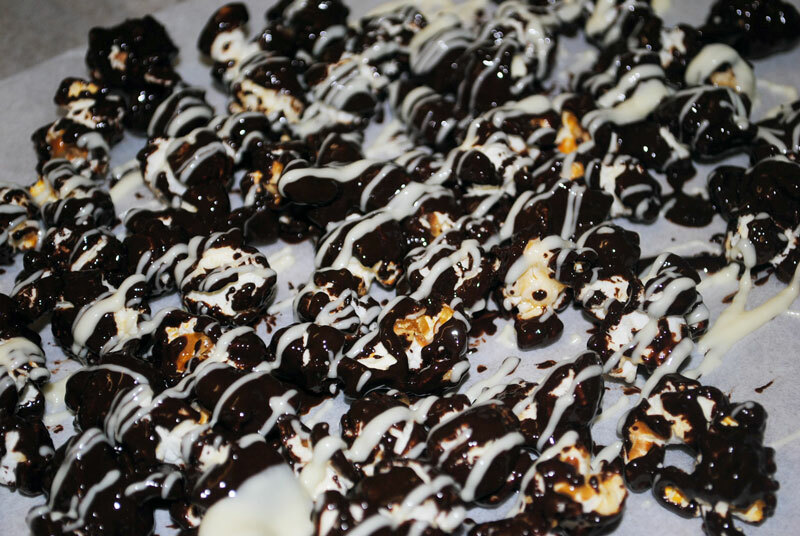 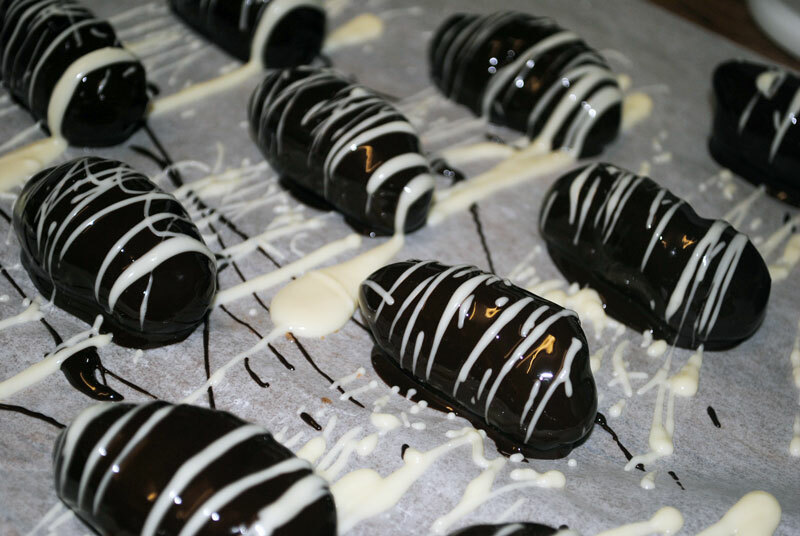 Week 49 – Chocolate dipped, marzipan coated alcoholic fruit! 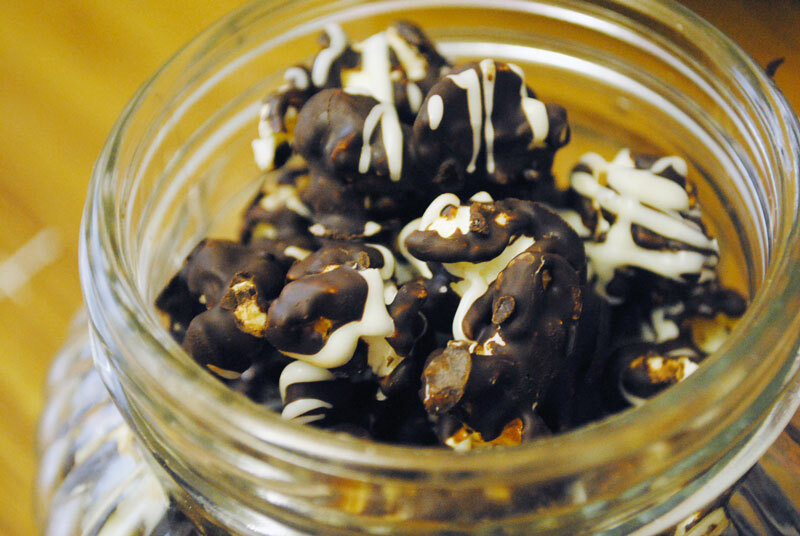 I made these sweets in the same way as last years Christmas treats so thought it would be nice to have them on the list for this years recipes. All you need are the fruits you soaked in the raspberry liqueur earlier this week, 200g plain chocolate, 50g white chocolate, 1 tube of ready rolled marzipan. 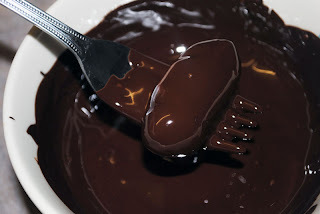 Melt both lots of chocolate in seperate bowls and leave to cool slightly. 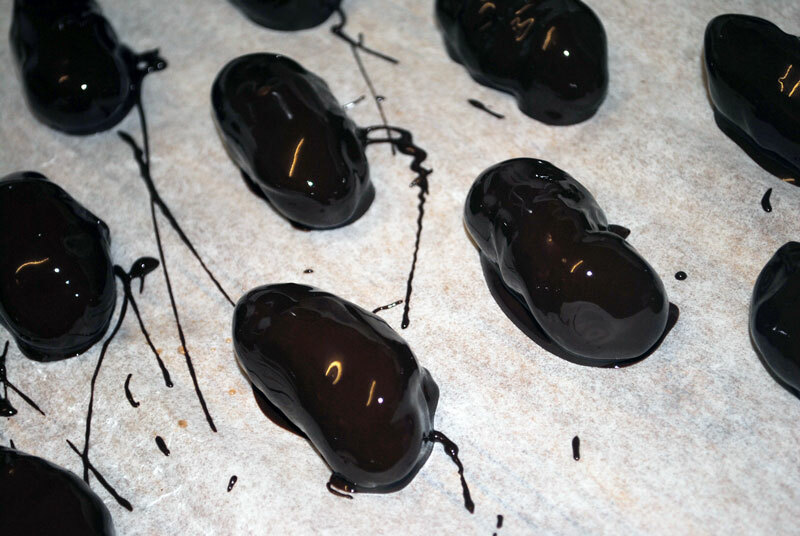 Wrap the alcohol soaked apricots and prunes in a little marzipan, make sure you secure all the edges etc so that none of the ‘juice’ escapes! 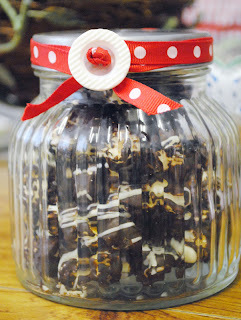 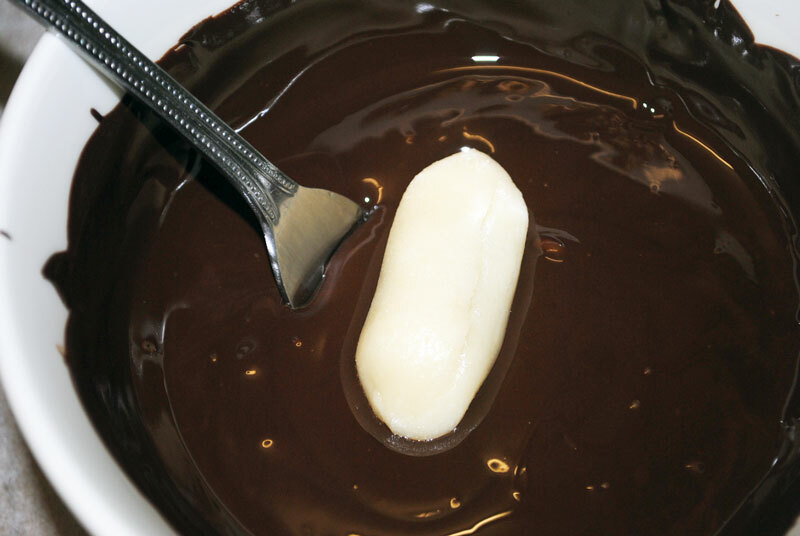 Using two forks, dip the marzipan into your bowl of chocolate and coat completely. Transfer from fork to fork until most of the excess chocolate has dripped away. Place them carefully onto baking paper.